It was famous opening line day for me when I tucked in for a double-header of Shakespeare. 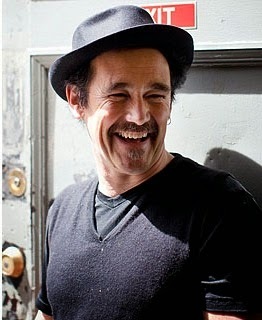 Mark Rylance and the Shakespeare’s Globe Company are on Broadway with all-male repertory productions of Richard III and Twelfth Night. 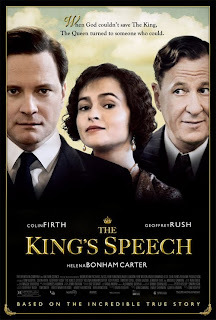 You know how Aaron Sorkin’s characters like to say, “If you haven’t seen ‘X’ then you haven’t seen Shakespeare the way it’s meant to be played”? Well, check out these productions and you’ll see the real thing. Striving for authenticity, the company is made up entirely of male actors, just as when the plays were originally performed. And that's not all. Tiramani continues, recounting the types of cloth used for costumes (only material that would have been available in the 1590s and 1600s), the many people involved in making any one costume (16 people for one in Twelfth Night, for instance), the construction of the pieces (remaining authentic, there are no zippers and most everything is hand-stitched) and the art of putting on the costumes, which, if you arrive 20 minutes before curtain, you’ll get to see on stage (just like if you were at the Globe in the 17th century). Moreover, each play employs a set of musicians who, varyingly, are set atop the stage and play about on the main playing space. In college, I wrote about the music in Shakespeare’s work, and watching these performances I was reminded just how much music is written into Shakespeare’s work. Under the direction of Claire van Kampen, seven instrumentalists play authentic Renaissance instruments, including rauschpfeifes (had you ever heard of these? ), lutes and timpani. In addition to adding another layer of authenticity, the music also adds another layer of depth to the storytelling, as the various instruments and players are associated with various emotions and goings on. So the productions are great. What about the performances, you ask? They’re top notch, too. 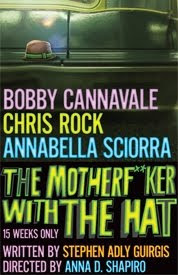 Directed by Tim Carroll, both productions move along seamlessly and each rich story is brought to life by a splendid cast. I was particularly impressed by the young men playing the women in Richard III. 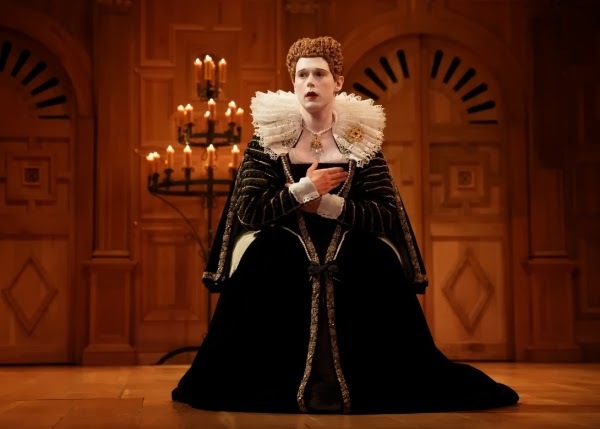 Joseph Timms, as Lady Anne, and Samuel Barnett, as Queen Elizabeth (pictured at right), fully commanded the stage, even when a voracious Mark Rylance, playing the titular king, was their scene partner. 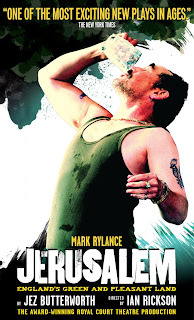 That also says something about Rylance’s performance. 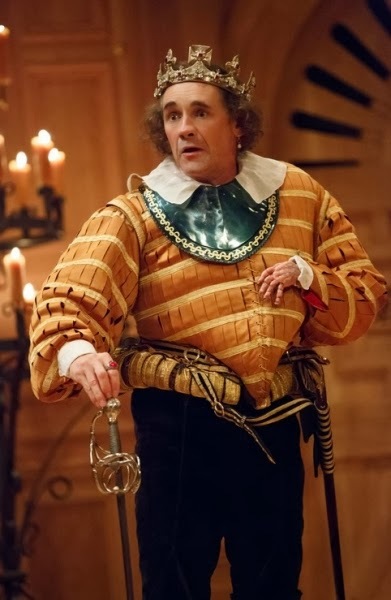 While he creates characters who are larger than life and fills them with bombast and all sorts of dramatic flairs, Rylance (Jerusalem) also knows when to pull back and be a generous member of the ensemble. Unlike other actors, who showboat and have a “look at me, look at me” attitude on stage, the sensitive Rylance (a two-time Tony Award winner) understands what will serve the production and the storytelling, and often times that means giving others room to play. 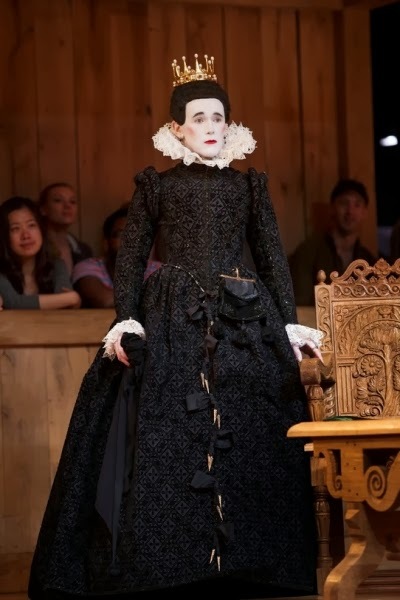 Not to be outdone, Rylance tops himself in Twelfth Night, taking on the role of Olivia. (Fun side note: The other time I saw Twelfth Night was during a recent Shakespeare in the Park run. Audra McDonald played Olivia.) His interpretation starts off slow and reserved. 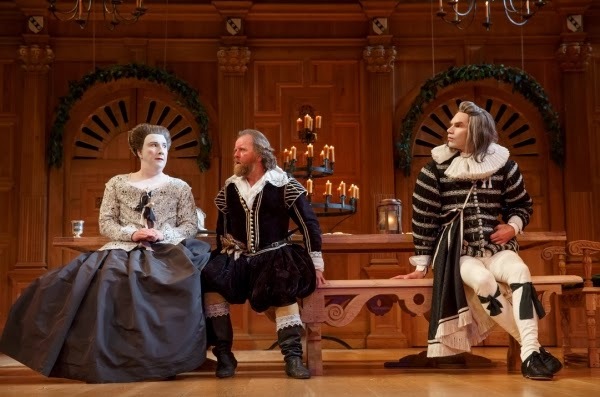 But once Olivia catches sight of “Cesario” (that would be Viola in drag) and falls madly in love, Rylance is hysterical—he’s uproariously funny while given to bouts of hysteria. While reading Shakespeare is fun and you can appreciate some of the clever word play, so much of his repertoire is meant to be consumed through performance. I couldn’t get away from this thought while watching Richard III. It’s a fine read (go for it; you’ll instantly recognize parallels to Game of Thrones), but, as in much of Shakespeare’s work, the stage directions are so minimal that elaborate ruses or great battles just don’t come to life—no matter how vivid your imagination—until you see them on stage. So what a joy it is to get to see two great works on stage, performed by an incredible company led by the incomparable Mark Rylance. We may be entering the winter of our discontent, but this company’s music is the food of love, so play on! Visit shakespearebroadway.com to learn more about the productions, check out the schedule and purchase tickets, which start at just $25.